Still deciding on a super affordable (OK... cheap) Softtop convertible? How about this 2012 FIAT 500c. With seating for 4 this Convertible can fit the driver and 3 passengers... a typical family of four. Two doors gives the 500c a streamlined appearance that shouts fun. The base price for this Softtop convertible is $19,500. If you like the 500c, check out current (and previous) convertibles manufactured by FIAT. 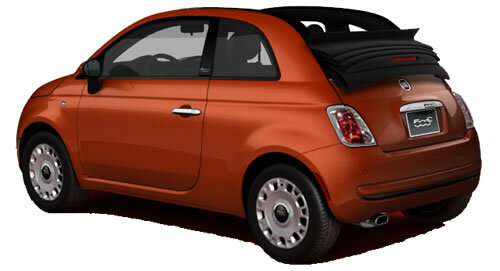 Convertibles like the FIAT 500c have enough room to carry 4 passengers but offer the sleekness of a 2-door body style.